The 12th edition of this popular text continues to build on four major marketing themes: building and managing profitable customer relationships, building and managing strong brands to create brand equity, harnessing new marketing technologies in the digital age, and marketing in a socially responsible way around the globe. 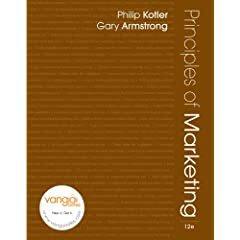 Thoroughly updated and streamlined, Principles of Marketing tells the stories that reveal the drama of modern marketing, reflecting the major trends and forces that are impacting this dynamic and ever-changing field. Topics include: the marketing environment, managing information, consumer & business buyer behavior, segmentation, targeting, and positioning, branding strategies, distribution channels, advertising and sales promotion, direct marketing, and the global marketplace. An excellent tool for anyone in marketing and sales, whether self- or corporate- employed.